So file this under pie in the sky, hopeless ideas that have no chance of coming true. Unless, that is, one person tries to get it going. $1 Billion spent in 10 years. 3,700 homeless. At $100 million spent per year, we could just pay every homeless person an annual salary of $27,000 and just close down whatever services are trying to solve the problem. But 3,700 is also a really small number. King County has 2.044 Million people. 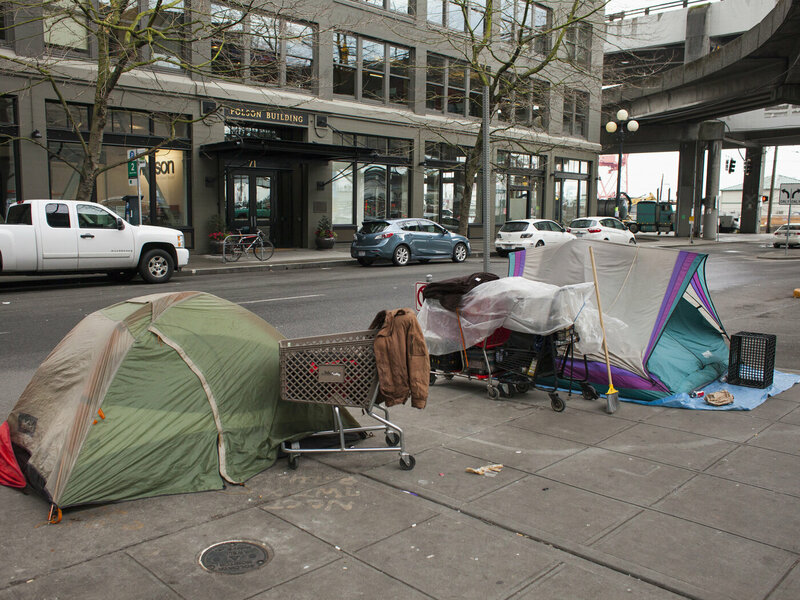 For every 1 homeless person in Seattle, there are 550 non-homeless. This is the math I use to think there’s an opportunity at fixing this problem. The idea is simple philosophically. Homelessness stops being a macro issue that we need “leaders” and “organizations” to try to solve. Homeless people need to stop being nameless, anonymous shadows that we can easily ignore on the side of the on ramp. Let’s make homelessness a neighborhood cause. And not just a neighborhood cause, but a block cause. – At least one if not more people who hire part-time help. – Someone who is or knows a psychologist, therapist or life coach. – A retired person willing to occasionally give someone a ride. – Someone who’d spring for a bus pass. – Neighbors with extra clothing they can give to a specific human. – People who will donate money to make sure someone they know is well fed. When you think of the idea that 550 people working together could help a single person get off the street, it seems almost mathematically insane that we have homeless people in the first place. But doesn’t it seem doable? Doesn’t it seem like if everyone who lived on your block assembled for two hours one Sunday afternoon, you could come up with everything you need to get someone a home, a part-time job, a wardrobe, counseling, a bus pass, some education and tutoring, addiction treatment if necessary, and most of all – friends in a neighborhood. Friends who want to see their guest succeed and move on to successfully re-start their own life in 12 months. That’s my utopian idea. One human, being helped by one block of neighbors, for one year.